The Romish church teaches that the Pope of Rome is infallible, at least when speaking of doctrine and morals, independently of consent of the church. Although Roman Catholics claim that Protestants misunderstand the doctrine of papal infallibility, the words of Vatican II are incredibly clear. The Pope cannot be corrected when he is speaking in the official capacity as the heir of Peter. What he says is, quite literally, the words of God. Put succinctly, the Roman Catholic church teaches that the Holy Spirit preserves the Pope from all doctrinal and moral error. It’s with irony then that Roman Catholic officials are frantically trying to correct Pope Francis of what virtually everyone acknowledges is a daily departure from Roman Catholic orthodoxy on a whole host of issues. Last month, more than 40 Roman Catholic leaders officially accused Francis of seven heresies. 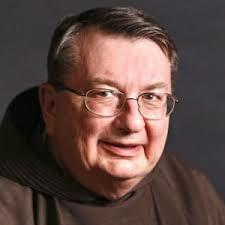 Yesterday, a Capuchin Friar – who happens to be an appointed official at the Vatican on the International Theological Commission – wrote his own corrective letter to the one who is supposedly infallible. Yet, Your Holiness, a chronic confusion seems to mark your pontificate. The light of faith, hope, and love is not absent, but too often it is obscured by the ambiguity of your words and actions. This fosters within the faithful a growing unease. It compromises their capacity for love, joy and peace. The friar’s chief concerns with the Pope is that he spoke heresy in regards to his infamous Amoris Laetitia on the topic of divorce (this topic in particular seems to have stirred up more conservative Roman Catholics). He also asserts that the Pope undermines the importance of doctrine, downplaying the church’s teaching on a whole host of issues. You can read the letter here. How did the Pope receive this criticism? The Roman Catholic church immediately asked for his resignation. The United States Bishop Conference, which has the power to do so, demanded the resignation of Friar Weinandy. He will no longer be serving as a doctrinal consultant to the church. There certainly is no room to question the one believed to be doctrinally infallible. Trump Endorses Bible Courses in Public Schools: How Should Christians React?